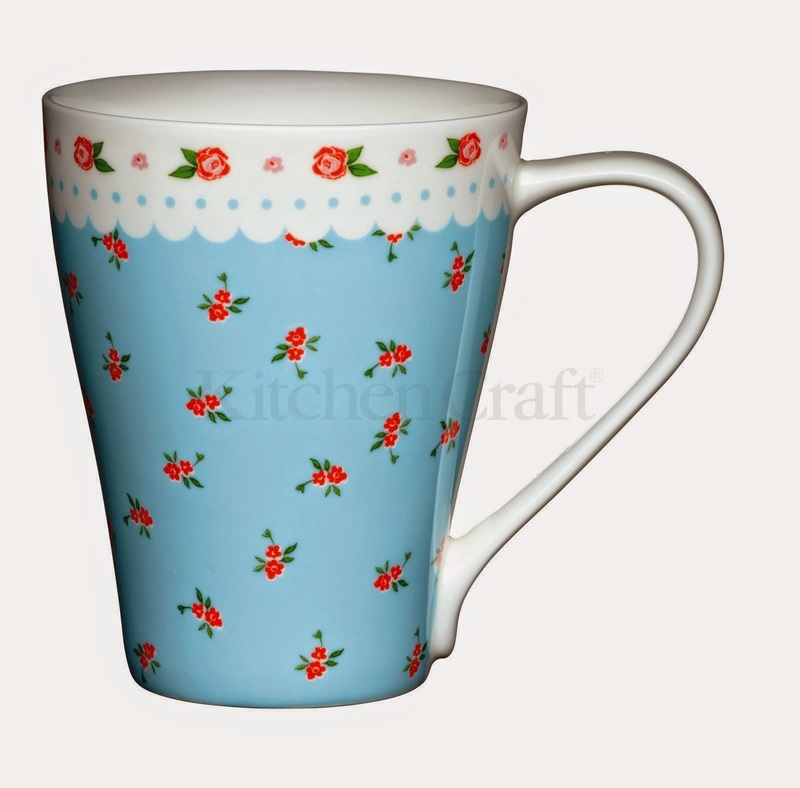 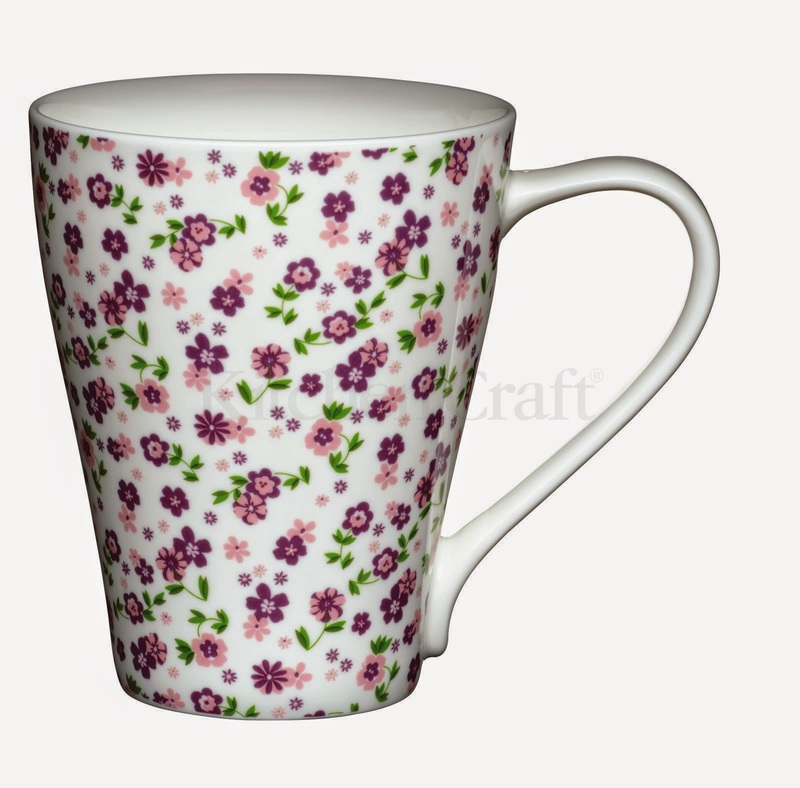 My final round up of designs from my mugs project is yet more lovely florals! 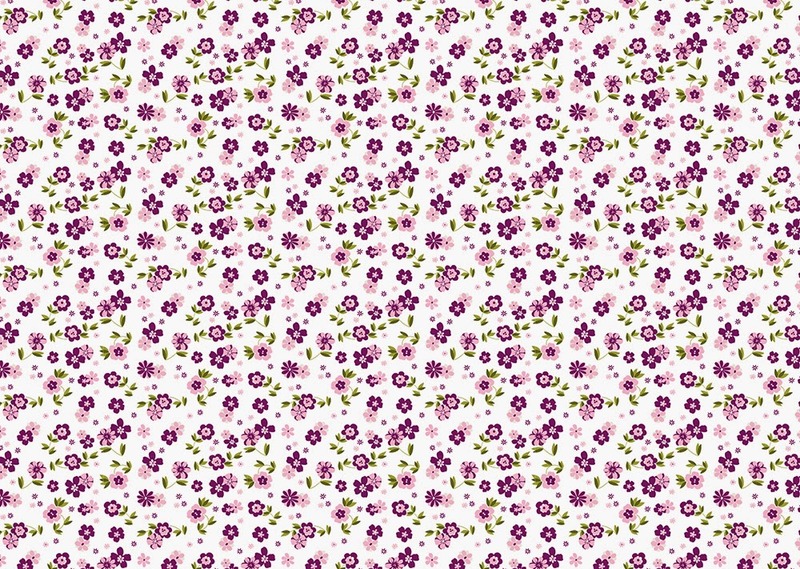 I particularly enjoy designing ditsy flower prints, so the following designs were loads of fun to do! 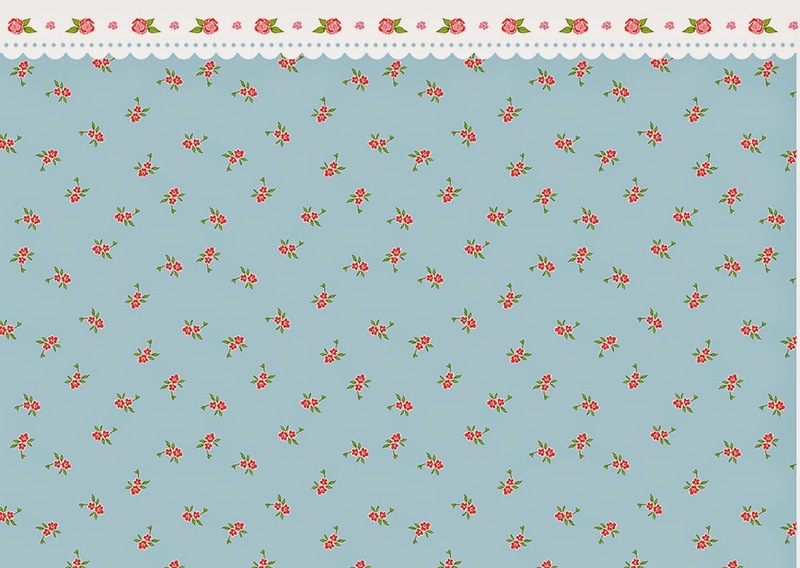 ...and a pretty crochet edge floral in trendy blue and white. 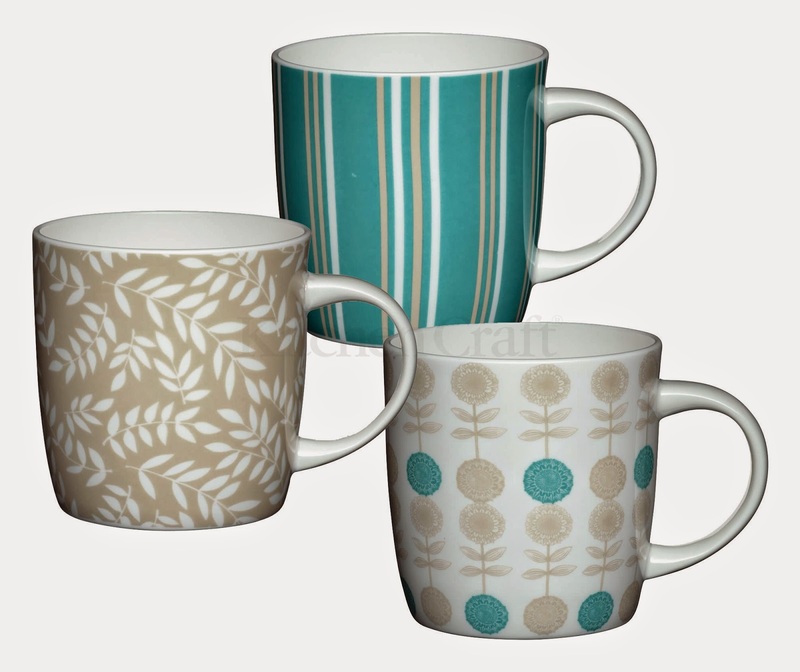 With so many different styles there's a mug design for virtually everyone - which one would you choose?! 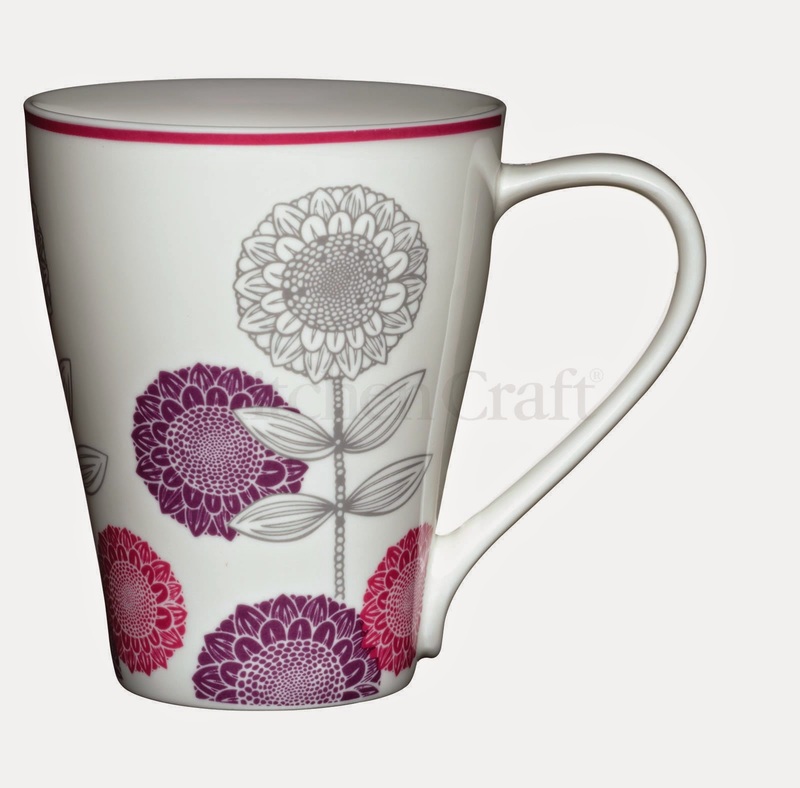 ...and the second is in a new bright pink and purple colourway, which I think is very striking. 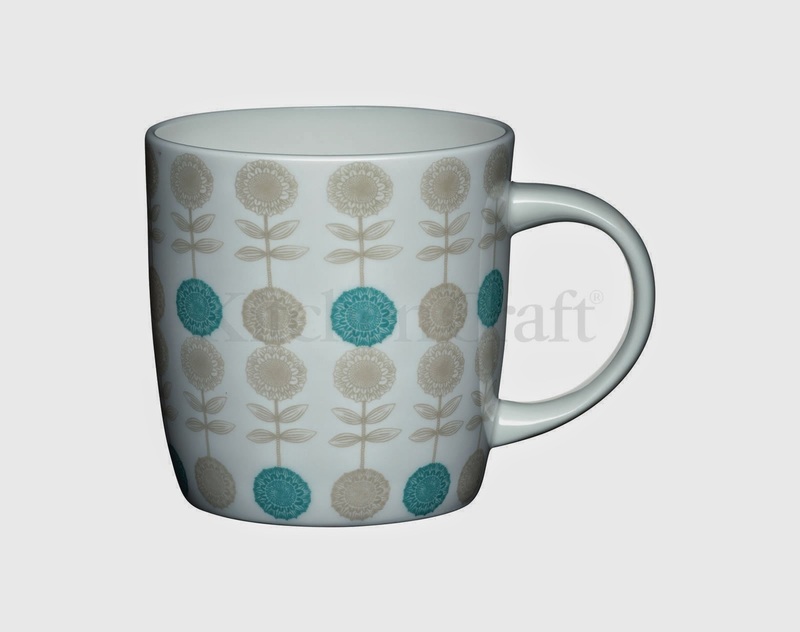 I love the colour and shape of this mug and must confess it has become one of my favourite mugs for drinking my morning coffee! 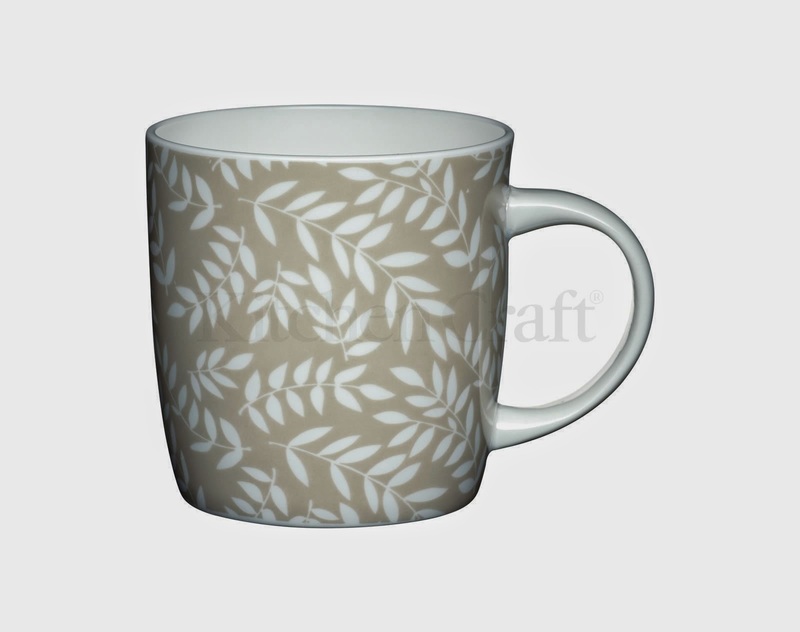 In contrast to the bright colour way of the pink mug is a much more neutral wheat leaf print, which I designed to fit easily into any kitchen. 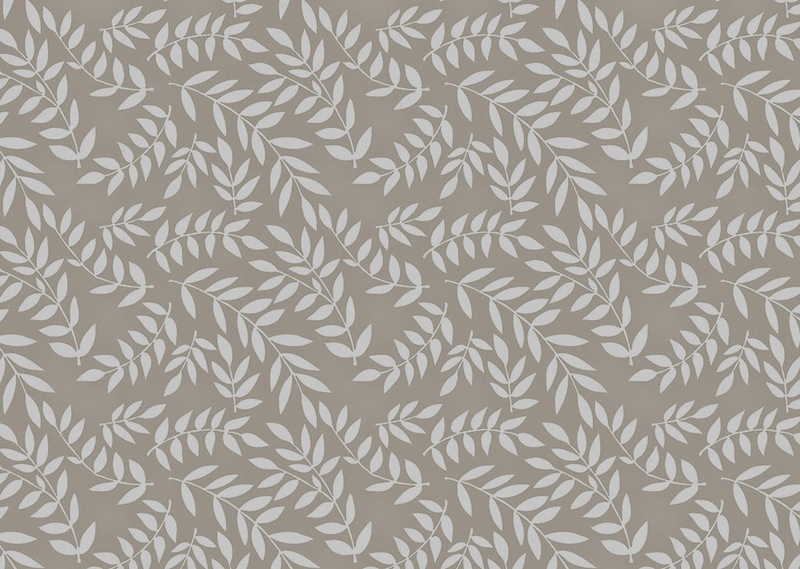 It's a simple, but pretty design to hopefully appeal to many tastes. 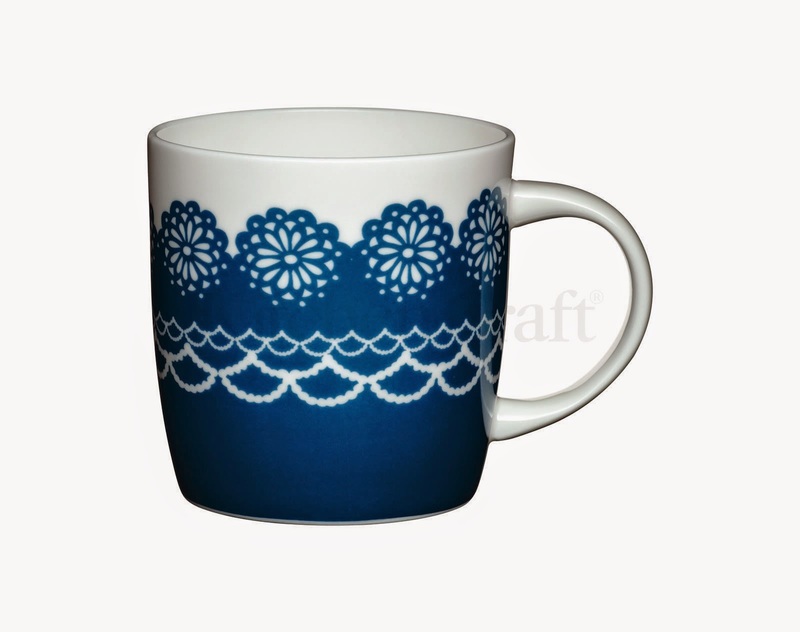 A simple stripe makes the third design in the blue and beige mug colour group. 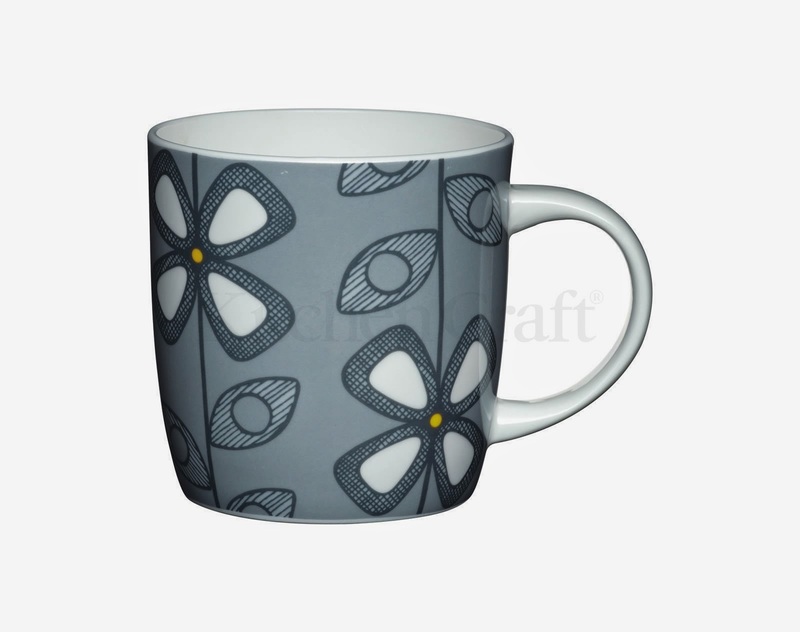 After a brief interlude to show you what was happening at the exhibitions last month, I am today returning to my mugs project. 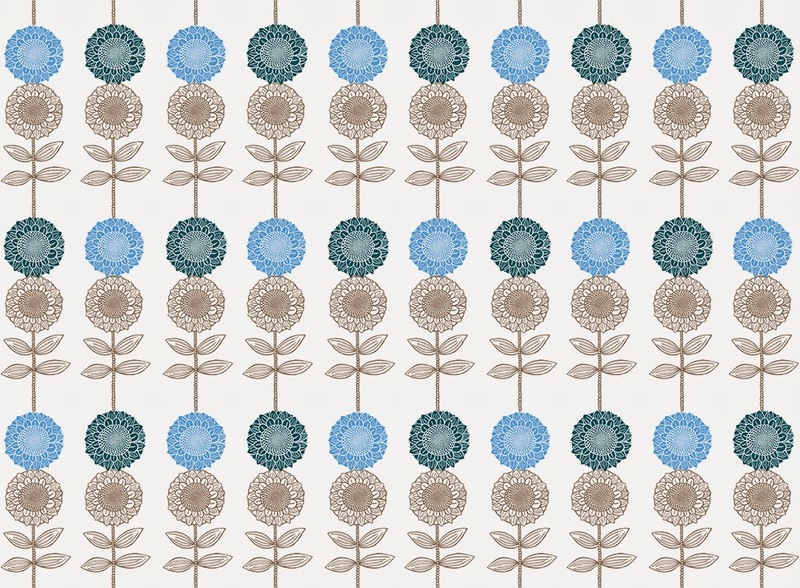 Lots of different styles were required for this brief from simple spots, stripes and stars shown below, to the more detailed painted designs I showed you previously. 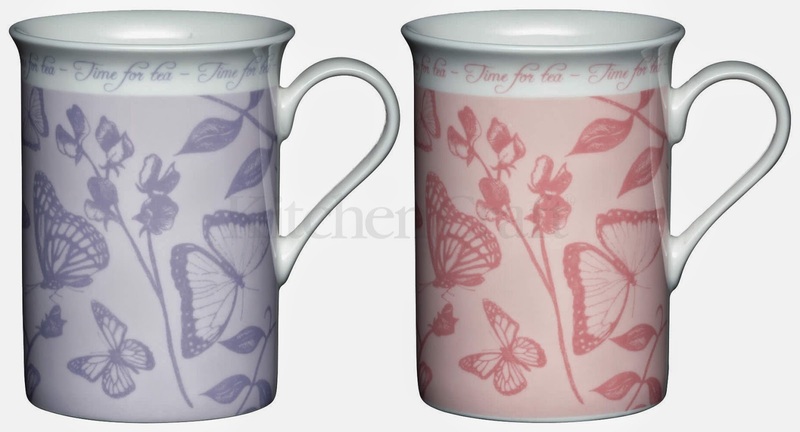 I was asked to create a highly intricate butterfly illustration using fine liner pen, which was coloured in a variety of different tone on tone pastel colours, with the pale purple and pale pink options below finally being chosen.